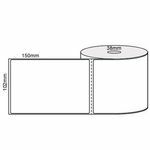 Minimum quantity for "40mmX28mm/25 mm core 1500/roll Synthetic thermal transfer labels" is 10. Minimum quantity for "102mm x 150mm, 1 across (400/roll) - White Thermal Transfer Matt Perforated Labels, Permanent Adhesive, 25mm Core" is 5. 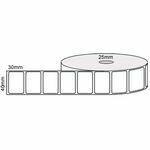 Minimum quantity for "102mm x 48mm, 1 across (1000/roll) - White Thermal Transfer Matt Perforated Labels, Permanent Adhesive, 25mm core" is 5. 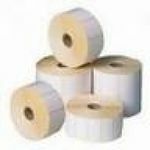 Minimum quantity for "102mm x 63mm, 1 across (1000/roll) - White Thermal Transfer Matt Labels, Permanent Adhesive, 25mm Core" is 5. 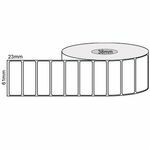 Minimum quantity for "35mm x 17mm, 1 across (5000/roll) - White Gloss Thermal Transfer Labels, Permanent Adhesive, 76mm Core" is 10. 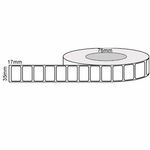 Minimum quantity for "51mm x 36mm, 1 across (3000/roll) - White Thermal Transfer Matt Labels, Permanent Adhesive, 76mm core" is 10. 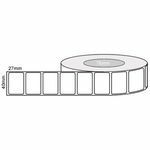 Minimum quantity for "63mm x 23mm, 1 across (2500/roll) - White Thermal Transfer Matt Labels, Permanent Adhesive, 25mm Core" is 5. 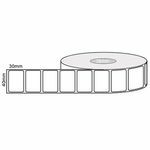 Minimum quantity for "102mm x 74mm, 1 across (1000/roll) - White Thermal Transfer Matt Labels, Permanent Adhesive, 25mm Core" is 5. 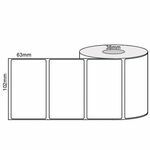 Minimum quantity for "70 x 50 Thermal Transfer Removal 1000 Labels /Roll 25 MM Core" is 10. Minimum quantity for "90mm X30mm /25mm core -thermal transfer Orange fluro -500 labels a roll" is 10. Minimum quantity for "90mm X30mm /25mm core -thermal transfer Green fluro -500 labels a roll" is 10. Minimum quantity for "37mm x 27mm Permanent Adhesive Labels 2000 Labels per roll Thermal Transfer Paper 38mm Core Size" is 10. Minimum quantity for "40mm x 15mm, 1 across (1000/roll) - White Thermal Transfer Labels, Permanent Adhesive, 25mm core" is 10. 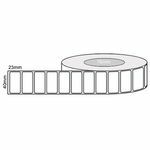 Minimum quantity for "40mm x 23mm, 1 across (3000/roll) - White Thermal Transfer Matt Labels, Permanent Adhesive, 76mm core" is 10. 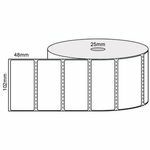 Minimum quantity for "40mm x 27mm, 1 across (4000/roll) - White Thermal Transfer Matt Labels, Permanent Adhesive, 76mm core" is 5. 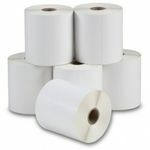 Minimum quantity for "40mm x 30mm, 1 across (1000/roll) - White Thermal Transfer Matt Removable Labels, 25mm core" is 10. Minimum quantity for "40mm x 30mm, 1 across (2500/roll) - White Gloss Thermal Transfer Labels, Permanent Adhesive, 25mm core" is 10. 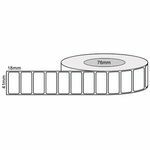 Minimum quantity for "41mm x 18mm, 1 across (5000/roll) - White Thermal Transfer Matt Labels, Permanent Adhesive, 76mm core" is 5. 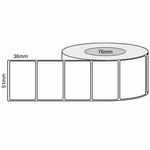 Minimum quantity for "69mm x 48mm, 1 across (1000/roll) - White Thermal Transfer Matt Labels, Permanent Adhesive, 25mm Core" is 5.